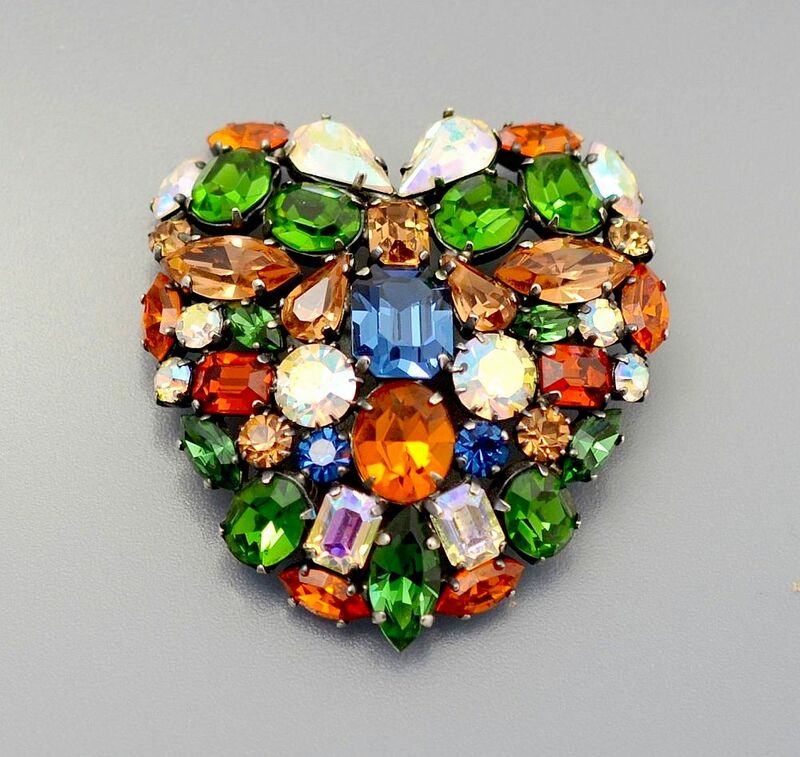 This beautiful vintage multi-coloured paste and rhinestone brooch is in the shape of a heart. The designer has used blue, green and dark orange and cognac coloured paste & aurora borealis rhinestones in marquise round and square shapes. At first glance the stones appear to be randomly scattered across the brooch, but the design is in fact symmetrical the left side mirroring the right with the centre line of stones forming the "mirror". Of wonderful quality it is probably made in the 195os and although it is unsigned, it is possibly by the American company Jewelcraft.